The 36-old star Bright Star – which some consider the largest and most important joint multinational military drill in the world – is back in Egypt. Bright Star first began in October 1980, as a result of the US-brokered peace treaty between Egypt and Israel. The joint maneuvers were held in autumn every two years on Egyptian soil, but have faced complications between the political events of 2011 and last year. This year, from September 8 to 20 in the Mohammed Najib Military Base, the surrounding areas, and the Mediterranean Sea, the exercises are back. Egypt, the United States, Saudi Arabia, the United Arab Emirates, Jordan, Greece, Britain, Italy and France will all participate, with elements of land, air, naval and special forces. Several countries are also invited to participate as observers, including Lebanon, Rwanda, Iraq, Pakistan, India, Kenya, Tanzania, Uganda, the Democratic Republic of the Congo, Chad, Djibouti, Mali, South Africa, Niger, Senegal and Canada. The aim of these exercises is to share experiences, coordinate work among the joint forces, standardize concepts, develop training in counterterrorism work, plan for administrative and medical support, and train for both joint air operations and maritime security work. Bright Star also includes projects of joint command centers, lectures to exchange experiences between countries, and tactical projects involving shots with live ammunition. 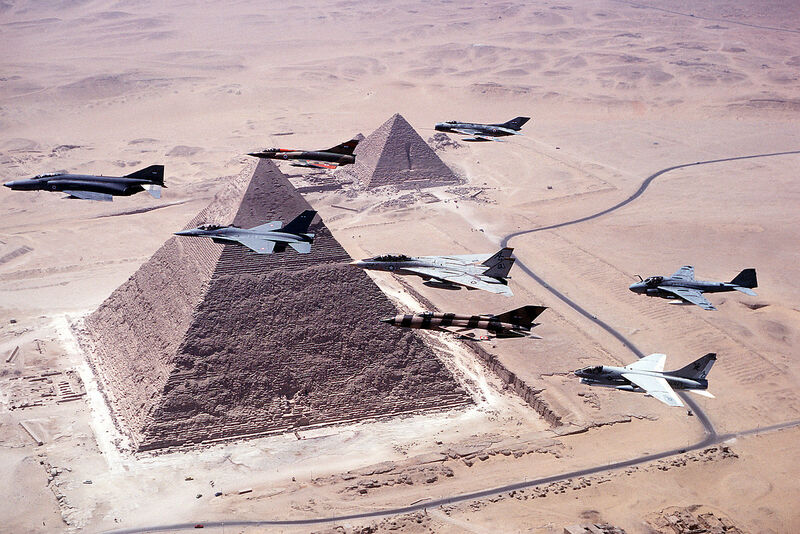 Militarily, these joint exercises are highly advantageous to Egypt. They introduce the country to the latest equipment and new weapons of the new US army, alongside Western combat methods that the Egyptian forces are not currently using, but are being used by the Israeli forces. This, of course, makes a great benefit for our forces. On the American side, the US Army’s greatest benefit is to learn from the experiences of Egyptian forces fighting in the desert – particularly the Egyptian special forces – with a focus on large-scale logistical operations to achieve practical expertise in Middle-Eastern combat. Since these joint training exercises are the largest on Earth, they will assuredly gain Egypt’s armed forces an advanced position among those of the world. Recently, Bright Star was stopped twice: first, due to the events of the so-called Arab Spring, and second, due to US President Obama’s cancellation of the drill due to US sanctions against Egypt. Yet, immediately after President Trump’s arrival to power, he ordered the return of US-Egyptian training in limited numbers. This year the Bright Star exercises return to Egypt with their original strength and size. It is noteworthy that Egypt did not invite the Turkish armed forces this year, given the political circumstances between the two countries. Written by Dr. Samir Farag, Former Army General. Edited translation from Al-Masry Al-Youm.